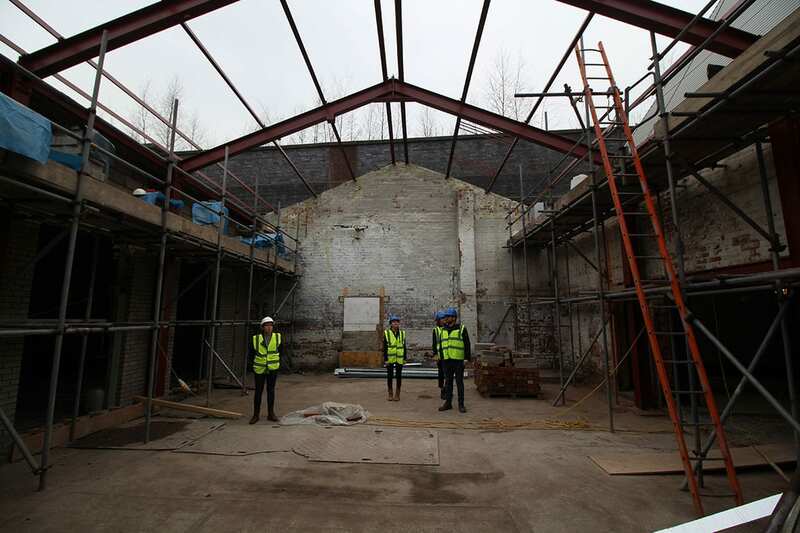 Today we visited our project in Salford to see the site progress. 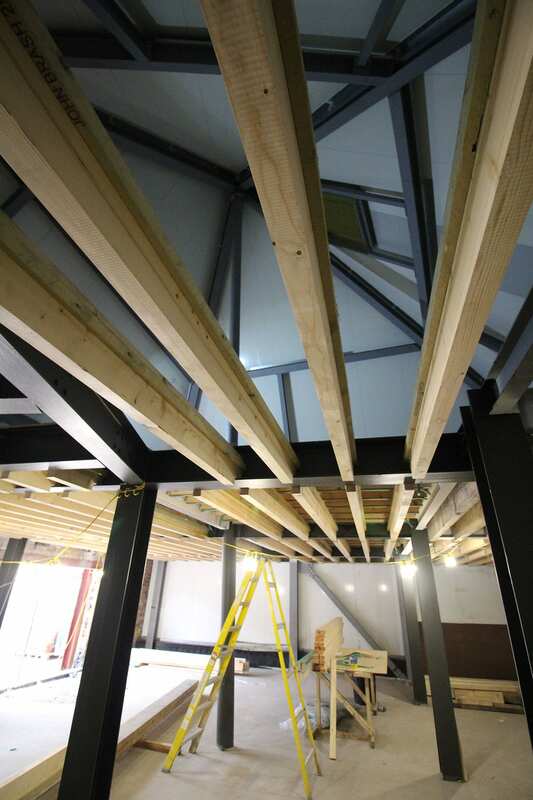 Here are some shots from our enjoyable day seeing an imaginative and unusual scheme take shape. 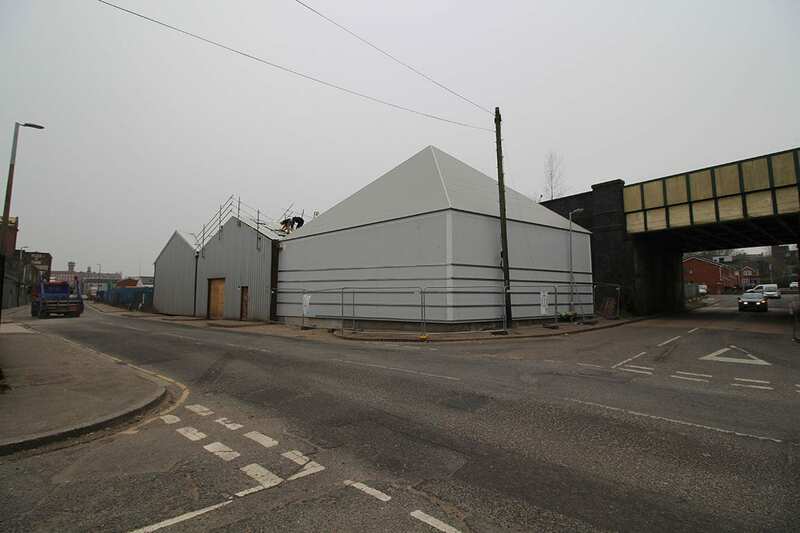 The scheme sees Walk the Plank merge its operation onto a single site on Cobden Street. 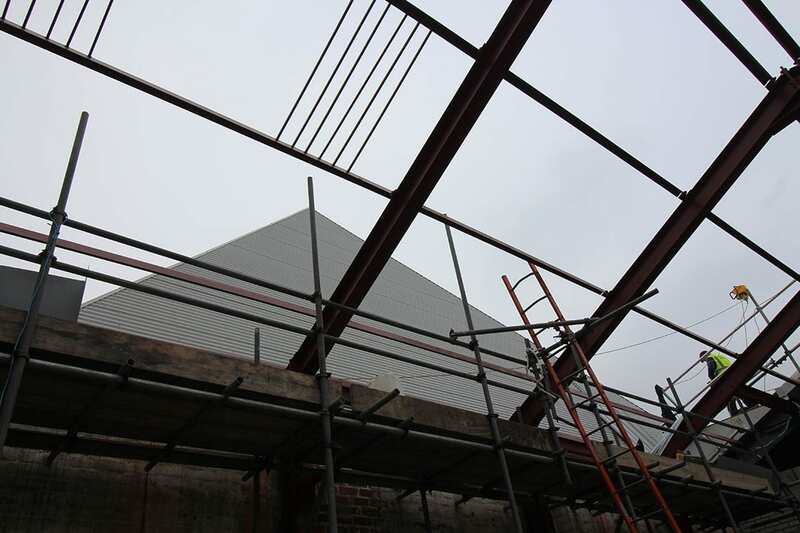 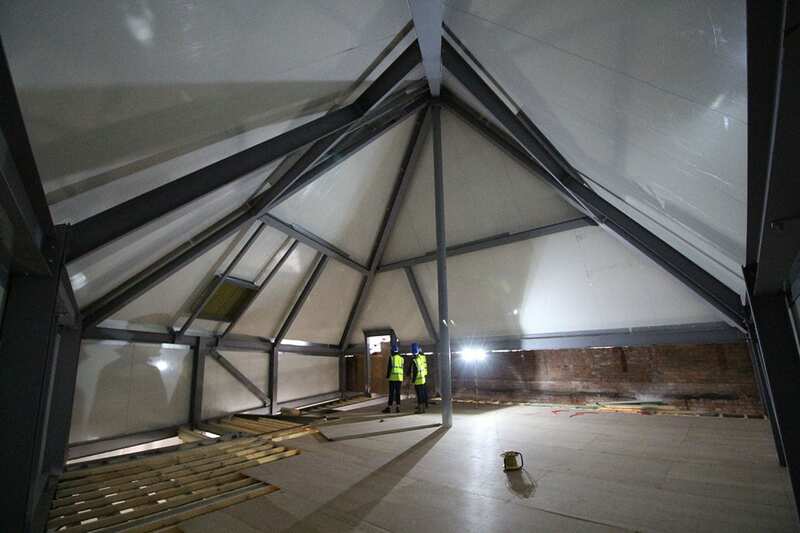 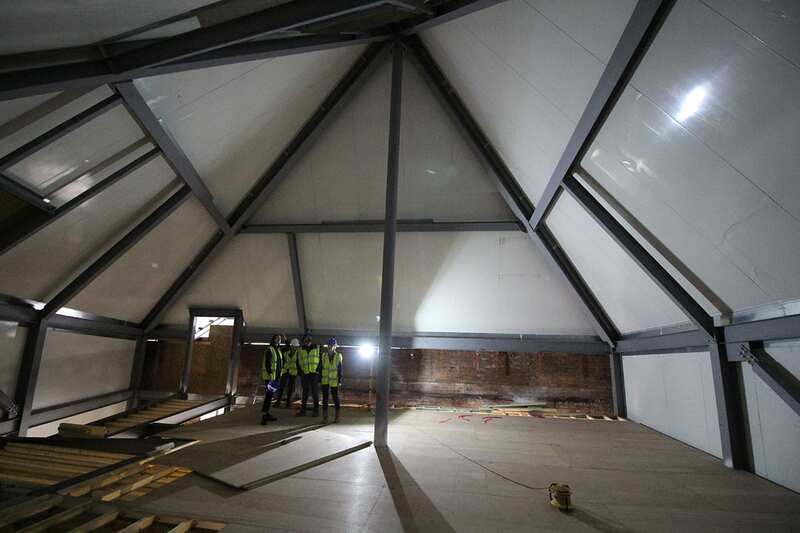 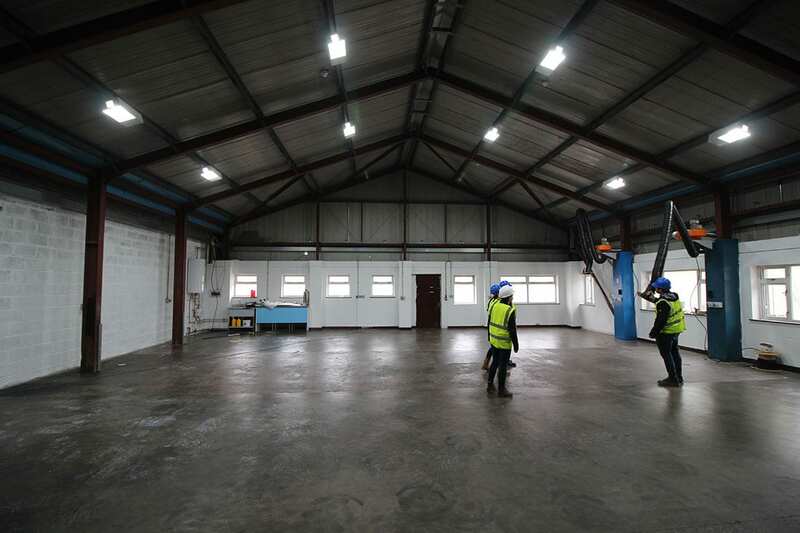 It features new office, training and workshop space set within existing portal frame buildings and a new build pyramid. 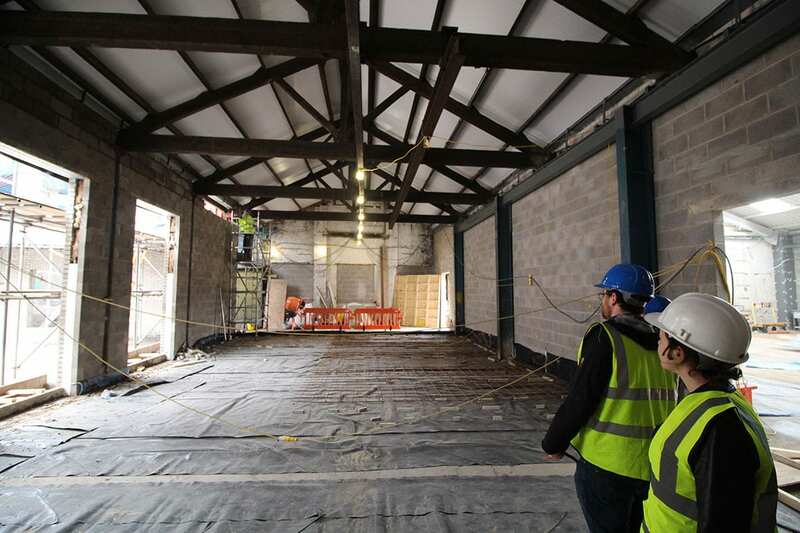 Primary spaces benefit from light and air from the courtyard we have created within the final portal frame structure. 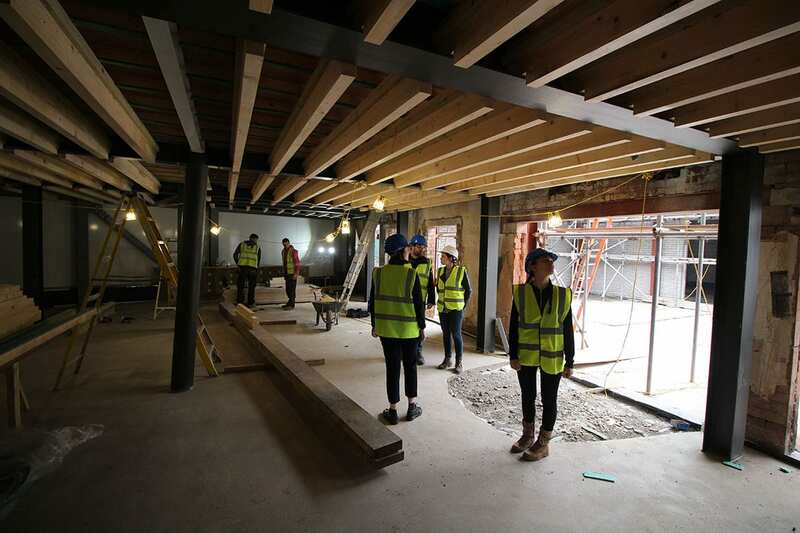 Work is due to complete in June.